A Texas mother has been charged with capital murder for allegedly stabbing her four-year-old daughter to death. 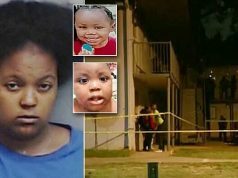 Laquita Lewis, 34, was arrested on Sunday after police found the body of her daughter Fredricka Allen at Timberwalk Apartments, a residential complex in northwest Houston, at 9pm. They believe she died three hours earlier and had been left in the home by her mother. At around 6pm, Lewis was involved in a car accident and was taken to hospital in an ambulance. Once there, she sent text messages to relatives suggesting that she had hurt the girl. Harris County Sheriff’s Officers described the discovery of Fredricka’s body as ‘horrific’. 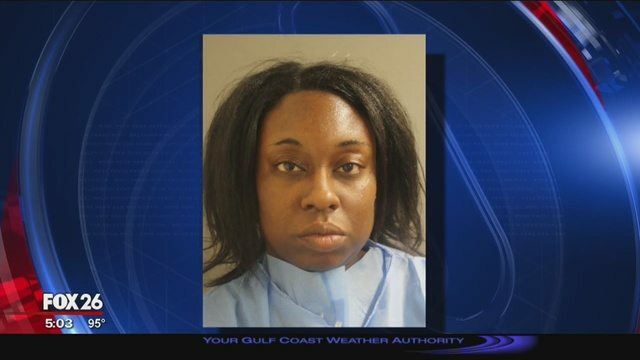 It’s not yet clear when Lewis stabbed the child but sources told KHOU that she carried out the killing in an angry rage after a fight with her boyfriend who has not been named. Lewis now faces execution if she is convicted. 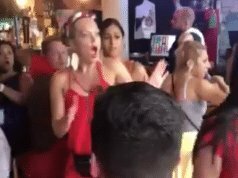 She is due to appear before a judge in Harris County on Monday. Despite reportedly living in a property in Timberwalk Homes, Lewis’s name is not registered to any address there. The complex includes a communal swimming pool and gym and 1-bedroom apartments cost upwards of $600 a month. Her name is attached to a less polished property a 10 minute walk away. No one from Timberwalk Apartments was available on Monday morning to confirm how long the family had been living there or if police had previously been called to the address.